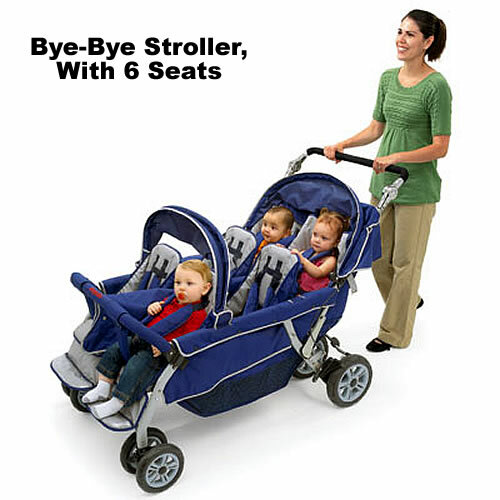 Bye Bye Buggy USA is an official dealer of commercial-grade buggies and strollers by Angeles, the leading name in multi-child transport vehicles. 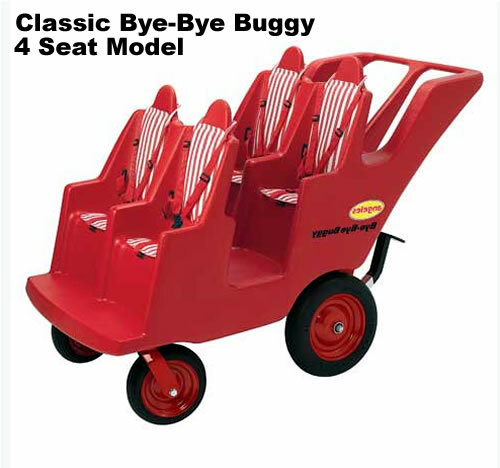 There are several models to choose from, including the classic red Bye-Bye Buggy, the yellow Bye-Bye Bus, the modern RunAbout buggies, and the foldable Bye-Bye Strollers. All of these items from Angeles are the industry standard for schools, day cares, preschools, and other child care organizations. Every model is made right here in the USA. You can order any vehicle right here through our website, in several different configurations. Phone us today toll free at 877-840-0707 for more information. 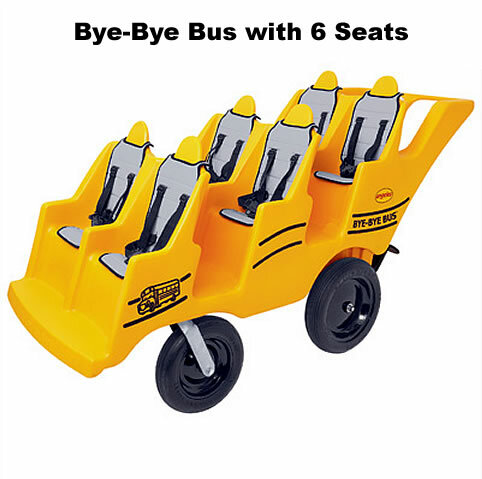 Whether it’s a field trip or just a casual walk around the premises, the Bye-Bye Buggy and Bye-Bye Stroller are the top choice for group mobility. 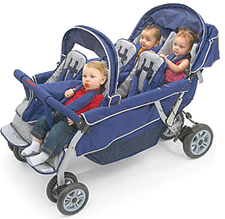 They’re manufactured and certified to conform with ASTM International standards for multi-child vehicles of this type. If you’re in the child care business, you’ll know Angeles products well — they’re rock-solid, brightly colored, and comfortable for the kids. 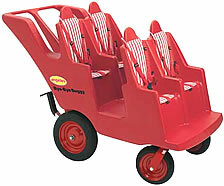 They’re also easy to steer, which is important for the adult who’s doing the navigating. 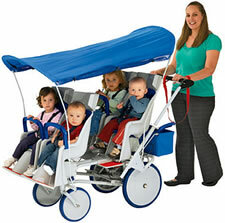 We ship Bye Bye Buggies and Strollers anywhere in the USA and abroad. For freight quotes to non-USA locations, please phone us toll free to get a quote on shipping these items to you. We can e-mail or fax quotes to you. 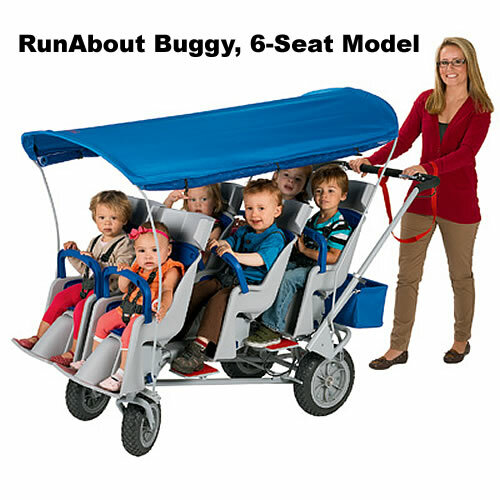 Buy one buggy today … or buy a fleet of 3 or more and receive a discount for bulk purchases! For more information about bulk pricing, just phone us toll free at 877-840-0707. 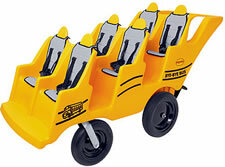 We also sell a full line of commercial playground equipment. 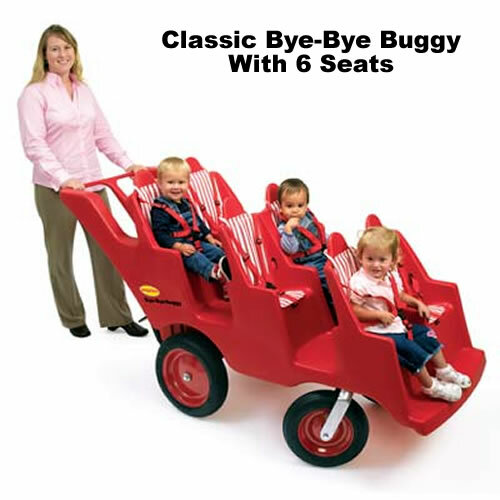 Bye-Bye Buggy USA brings you the best-selling multi-child transport vehicles from Angeles, the leading name in the business. 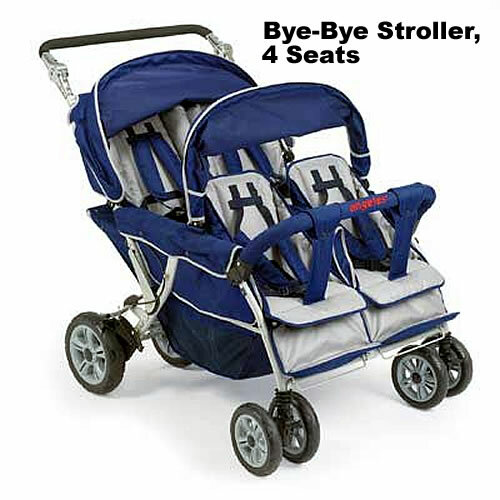 You'll find several models of Bye-Bye Buggies and Bye-Bye Strollers on this site.